Over the last year, I’ve house sat in Florida, New Mexico, Argentina, Mexico, New Zealand, Malaysia, Thailand and South Korea. But when I nailed my first ever gig on St. Thomas, U.S. Virgin Islands, I didn’t even know what house sitting was. A friend had agreed to water plants and check in on her friends’ home while they were away. But when offered a job that included training off island, she asked me to step in for the next couple weeks. A home overlooking a picturesque beach with a washing machine, car and air-conditioning? It was more than my crummy studio apartment offered, so I was in. I have been living on St. Thomas for six months, ever since I disembarked from two years of sailing through the Caribbean with my (upon disembarkation) ex-boyfriend. A writer, marketing consultant, yoga teacher and life coach who works remotely, I was low on possessions but high on wanderlust. 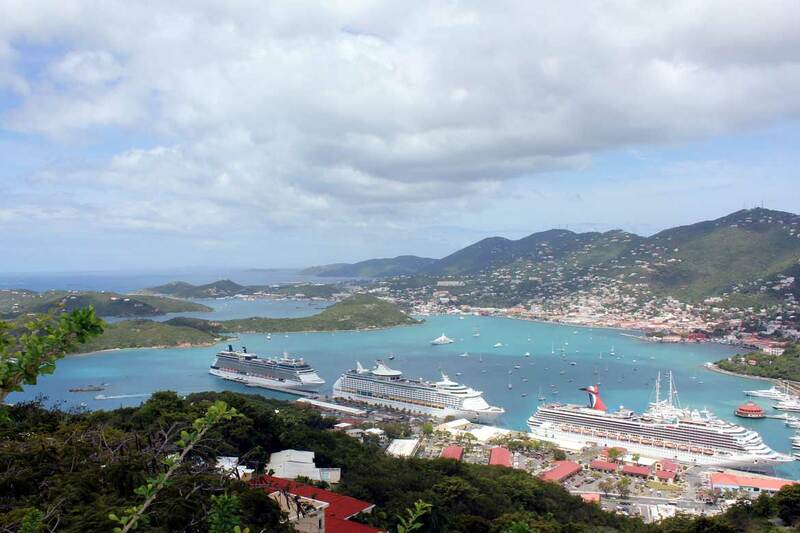 I needed a place to regroup, and St. Thomas helped me do just that. One of three U.S. Virgin Islands (St. John and St. Croix are also U.S. territories, like nearby Puerto Rico), St. Thomas is a mix of working-class St. Thomians (pronounced TOE-mians) and throngs of tourists funneled in from daily cruise ships. It’s an easy, $7 US ferry ride to St. John, which is mostly national park and wealthier, retired residents. And grab your passport for quick trips to Jost Van Dyke, Tortola, Virgin Gorda and other breathtaking spots in the close-by British Virgin Islands. The main downtown on St. Thomas is called Charlotte Amalie, and its historic streets are filled with high-end shops and bars. Red Hook, which you can get to using the $1 open-air, public trucks known as Safaris, is where you’ll find even more bars and the ferry terminal. The Safaris run on a set route, but on island time, so some days you’ll find yourself waiting up to 20 minutes. But it’s worth it as the taxis here are quite expensive. When you arrive at the airport, for example, walking five minutes to the main road and waiting to flag down a Safari, rather than accepting a lift from a taxi, will save you up to $50 US. Taxis charge per person and, shockingly, per piece of luggage! Be sure where you’re staying is along the Safari route if you do not plan to rent a car, which is also fairly pricey, otherwise you may be walking up some serious hills. The island, like most islands, isn’t the cheapest for food. Cost U Less was the best grocery store, and it’s along the Safari route. Moe’s in Red Hook offered more specialty foods, but it is much pricier. Eating out can also add up, since many places charge tourist prices. For a real experience, however, be sure to head out to Christmas Cove on a boat and order from Pizza Pi, a floating pizza restaurant! Alcohol, however, is quite reasonable on St. Thomas. An entire bottle of Cruzan rum, produced in St. Croix, costs around $5. At the many excellent waterfront bars, bring your own mug. Disposable plastic cups and straws are everywhere, so it’s no surprise there’s a bit of a trash problem. All those chickens running around freely? That may be more surprising. Magen’s Bay, considered one of the world’s most beautiful beaches, and the entire west end of the island is only accessible by car. Before you rent a vehicle, make sure you’re comfortable driving on the left side of the road! It’s especially good during the annual Carnival time. If you happen to be there in April, definitely attend J’Ouvert if you want to start dancing and drinking in the streets at 4 a.m. while strangers cover you in paint. Enjoy the costumes and endless booty-shaking of the adult parade downtown, and by all means wear ear plugs for the late-night and amazingly loud musical acts. I left the island to begin my full-time nomadic life as a global house sitter just a mere three weeks before Hurricanes Irma and Maria struck. Considered among the strongest storms on record, they decimated the island. It’s been on the road to recovery, though many of my friends still live and work there, and on quieter St. John, too. While some restaurants are gone, the trees have grown back and the waters are clear again. For those looking for a slightly faster-paced Caribbean lifestyle mixed with the conveniences of U.S. living (technically, no passport is needed – but I’d bring it) – St. Thomas gets a 7 out of 10 from me. This is part of a destination series written by experienced house sitters. They have each house sat in the location and write from their experience. 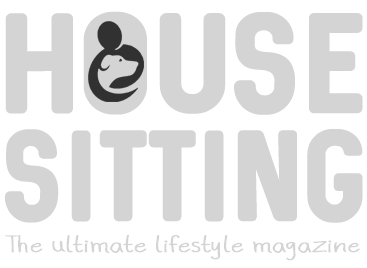 We hope they help you make good house sitting choices! St. Thomas is an amazing place. I have been there twice and my experience was fantastic. I think you were very lucky to find something there since it’s a very touristic place.